Blame it on the region, blame it on the number of employees, blame it on them being the youngest team in the NFL. The Bucs have had 10 employees arrested since January 10th, 2010. According to Victoria Lim of Bright House Sports Network, Bucs DE Alex Magee was arrested Monday for possession of marijuana and for driving with an expired tag of greater than six months. 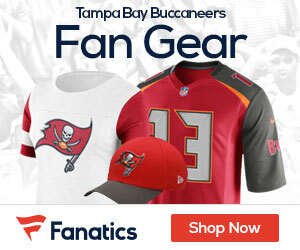 That number of arrests – 10 – is glaring, but Magee is one of two players (along with in-season cut Jerramy Stevens) who likely won’t be on the 2011 Buccaneers, one of the arrested employees is basically a chauffeur and another arrested player, Mike Williams, wound up in charges dropped. Looking at a similar situation with the Jets, sometimes controversy and accusations of coddling and lack of character can bring a team together.